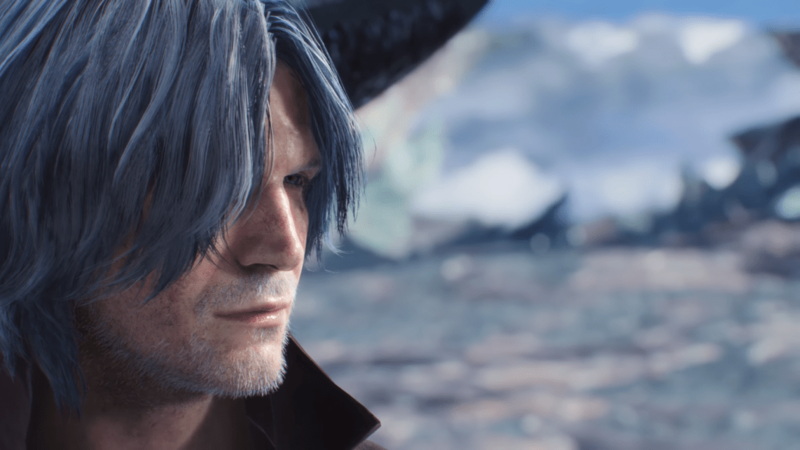 Devil May Cry 5 at Gamescom 2018 "Keeping it Stylish"
Devil May Cry 5 is looking to be a hack n’ slash game of the highest caliber. Every aspect of this baby is fueled by hype; from the stylistic combat, flashy special effects, right down to that catchy theme (you know the one.) And Gamescom 2018 gave us more info and gameplay to gnaw on for those folk chomping at the bit. Devil May Cry 5 will be released March 8th, 2019, on PlayStation 4, Xbox One, and PC. Nero’s Devil Bringer might be long gone, but a series of new toys have been created in its stead. Introducing Devil Breakers, mechanical arms crafted by Nico’s ingenious handiwork. There are 8 different Devil Breakers for Nero to play around with in Devil May Cry 5; each one holds a unique gameplay style with specialized abilities pertaining specifically for it. You can only hold onto a limited amount though, and they’re also capable of breaking. Breaking an arm or Devil Breaker can occur either by taking damage, unleashing a Super, or manually destroying it. Deciding to forfeit your arm has its perks, you can escape a bad situation by doing this or perhaps select a more preferred Devil Breaker. Devil Breakers are powerful tools. Nero still retains his classic weapons that allow for up close and personal combat ( via Red Queen) and ranged-projectile attacks (via Blue Rose). The Red Queen is a blade equipped with a motorcycle-gear shift and the Blue Rose is a powerful magnum capable of firing off two rounds with one pull of the trigger. The Red Queen can be revved up with a perfectly timed input after landing a strike which boosts damage on your next attack. This mechanic actually has a visible gauge that can be seen in the top left portion of your HUD. That gauge in the top left is your indicator for the ”Exceed” mechanic. Devil May Cry 5 will feature three playable characters including Nero, Dante, and an unknown third. The Gamescom 2018 trailer finally showcased Dante’s gameplay in action. The aged demon hunter gets creative with his motorcycle by transforming his ride into a dual-wielded weapon. Amazing right? Dante’s flair for the stylish just becomes better with age, like a fine wine laced with hype. While we’ve only gotten a glimpse of Dante’s gameplay, not to worry. Capcom has confirmed that while Nero is the focus at Gamescom, we’ll see more of Dante during the Tokyo Game Show that takes place later this year. Dante swinging his motorcycle into demon scum like its nobody’s business.